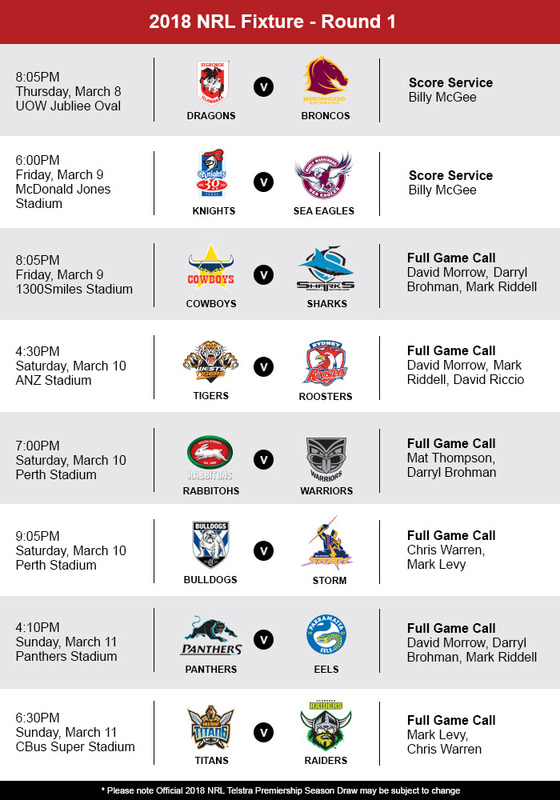 After five long months, the NRL returns to our airwaves! Ray Hadley’s Continuous Call Team will bring you all the action, with the best commentary team in the business. The 2018 Footy Tipping Competition also gets underway with huge prizes to be won. First place will take home up to $25,000 towards a new car from OzCar. The season gets underway tonight with the St George-Illawarra Dragons hosting the Brisbane Broncos. All ROUND ONE FIXTURES are out now – see the CCT broadcast schedule.